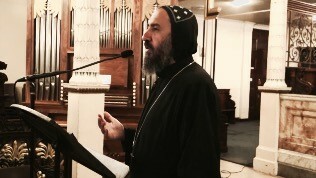 In this talk, His Grace Bishop Angaelos, General Bishop of the Coptic Orthodox Church in the United Kingdom, speaks to us about how we can overcome our tendency to condemn, criticise and lose hope in ourselves and others by seeing ourselves and others through the eyes of God, our Creator and Father. 0 Comment(s) to the "How does God love us? - HG Bishop Angaelos - Grapevine Fellowship Meeting "